Best Recharge Offers on jio Recharges- Many of are searching on Net for Recharge offers on Jio Recharges, so in this post we have provided recharge offers on jio Recharges in one Place, you can check Jio New Tarrif Plans Latest to select best jio plans for you. So find Best Recharge Offers on Jio Recharges from Below List. If you are not sure if your plan has expired or not here’s How to Check expiry date of Jio Summer Surprise offer . 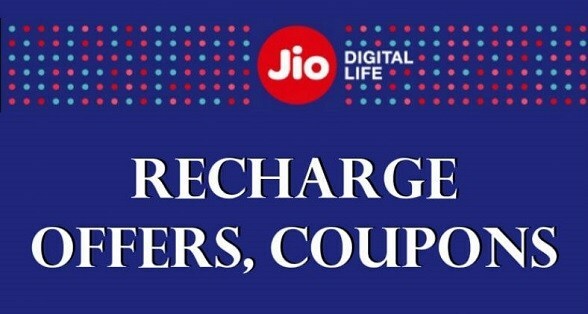 Jio Has recently launched its Jio phone which is free for all its users, here’s how you can Find Jio store code near your area, so below are Latest and Best Recharge offers on Jio Recharges. Get instant Rs. 20 cashback and additional Rs. 200 cashback on shopping at Paytm app only. * Use Promocode PAYTMJIO to be eligible for this offer. *User will get flat cashback of Rs. 10 on successful transaction of Jio recharge of amount equal to Rs. 149. *User will get flat cashback of Rs. 20 on successful transaction of Jio recharge of amount above or equal to Rs. 398. Get instant Rs. 30 cashback and additional Rs. 200 cashback on shopping at Paytm app only. *User will get Flat Rs. 20 Cashback on successful transaction on Jio recharge of amount equal to Rs. 149. *User will get Flat Rs. 30 Cashback on successful transaction on Jio recharge of amount above or equal to Rs. 398.